A New Jersey mother has plead guilty to setting her newborn baby on fire and leaving it in the middle of the street. 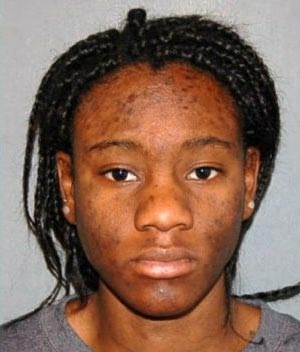 23-year-old Hyphernkemberly Dorvilier of Pemberton Township doused her newborn daughter with accelerant and lit her on fire in January 2015. The baby died a few hours later after being flown to a Philadelphia hospital. Dorvilier plead guilty to aggravated manslaughter. Authorities say that she hid her pregnancy from her mother and sister. The baby was found with the umbilical cord and placenta still attached. She was sentenced to 30 years in prison. The Delaware high school student who died following a fight inside a bathroom at school has been identified. 16-year-old Amy Joyner-Francis died after an altercation with 2 other female students around 8:00 a.m. Thursday at Howard High School of Technology in Wilmington. The incident may have stemmed from a dispute over a boy. At this time authorities do not have a cause of death. Several other students have been interviewed. A vigil was held on Thursday to remember the sophomore student. No arrests or charges have been made at this time. Florida billionaire Glenn Straub has announced plans to open an adventure ropes course at the site of the failed Revel Casino in Atlantic City within the coming weeks. Straub bought the $2.4 billion property for a steep discount, but has not been able to get the casino/hotel running. Previous ideas for the site included a 'genius academy' or housing for Syrian refugees. The ropes course will be built in the area of the valet entrance. He hopes to have it running by June.